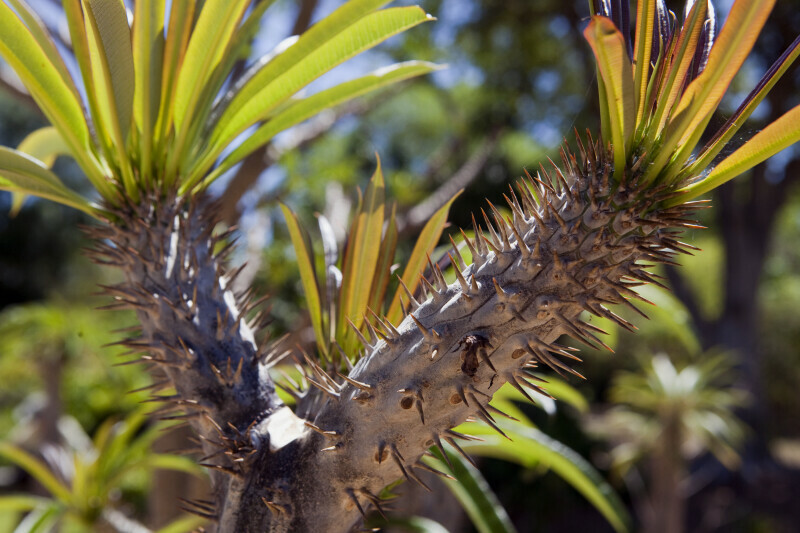 Prickles of a Pachypodium lamerei var. ramosum at the Fairchild Tropical Botanical Garden. This succulent plant is native to Madagascar.